MonTECH specializes in providing technology that helps individuals with limitations in expressive communication. For a person who cannot speak using his or her voice, there are various ways that technology can offer an alternative means of communication. A person may also need a device to augment their current communication style so that others can better understand them. This type of assistive technology falls under the category of Alternative Augmentative Communication (AAC). 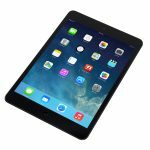 How do I know which AAC device to try? There are many factors to consider when choosing a device to try. A certified speech language pathologist can help you to determine where to start. How are these communication devices different from each other? This is an excellent question. Devices can vary in display, size, complexity, cost, voice, and the number of buttons on a page. I’ve heard AAC devices referred to as “low tech” and “high tech.” What does this mean? An AAC device that is “low tech” typically has an unchanging, static display, a person’s recorded voice, and is only used for basic communication needs. An AAC device that “high tech” offers a dynamic display, synthesized voice, and can typically offer a very large stored vocabulary. These “high tech” devices often offer additional functions, such as a built-in computer and environmental controls. Can AAC devices be mounted to a wheelchair? Yes. We have several types of mounting systems. Our professionals can help you to decide what mounting system to use with the device you choose and can assist in mounting the device. What AAC options are available for a person who cannot speak and has significantly limited use of his arms? Switch control is an option for this type of AAC user. MonTECH has a wide variety of switches for persons who cannot directly select the buttons on an AAC device. Switches can be placed where the user has the best movement control. Switches come in many shapes, sizes, and materials. Computers are an important part of daily life. For individuals with disabilities, using a standard computer may be difficult or impossible. 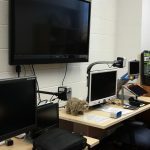 Most working-age adult computer users and students in the U.S. could benefit from using options on their computers that make it easier to see, hear, and use. MonTECH can assist individuals in finding the best assistive technology options to address their specific computer access needs through exploring the hardware/software solutions available. Daily living activities are common, necessary tasks that people complete every day, such as eating, drinking, bathing, dressing, and toileting. When disabled children, adults, elderly people and those who are recovering from surgery, illness, or have a temporary or permanent illness or disability cannot complete some of these activities by themselves, they need devices to assist them. At MonTECH, we specialize in providing technology that helps individuals with limitations to control their environment. There are various ways that technology can offer an alternative means of controlling devices or systems in home, school or work environments. A person may also need a device to augment his/her current way of controlling their environment. Controlling one’s environment is an important step in independence. Through MonTECH’s investigation and research we have built a complete line of ECU products from easy-technology options to highly sophisticated solutions depending on the individual’s goals. MonTECH has assistive technology to help Montanans who have hearing loss or are deaf. The sense of hearing can be impacted in many ways. Some individuals have residual hearing and benefit from amplification of sound. Others are completely deaf and need alternative means for receiving information. We do not provide or sell hearing aids. MonTECH recommends you or your loved one visit with a licensed audiologist prior to purchasing hearing aids. We can help you at MonTECH whether you wear a hearing aid or not. 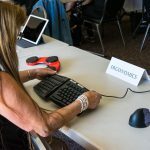 We offer assistive technology for all Montanans who may benefit. Visual alarm systems, such as door knock flashers, baby monitors, phone flashers, etc. MonTECH also has an assortment of amplified and captioned phones on display. Some users need amplification, some prefer text, and others like video calls for their distance communication needs. MonTECH works closely with the Montana Telecommunications Access Program to ensure that Montanans have access to the latest technology. Assistive Technology for learning includes a variety of devices that help provide access to learning. 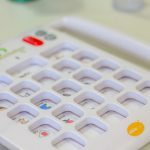 Today’s assistive technology can meet a broad range of needs for individuals with many types of learning difficulties. Assistive technology can help students participate more fully in classroom instruction, read better, write more independently, and learn more efficiently. Students who now use assistive technology often comment that finally they are on a ‘level playing field’ in the classroom environment. The 1997 federal reauthorization of the Individuals with Disabilities Education Act (IDEA) states that school districts must provide assistive technology to eligible children if needed to ensure the provision of a free, appropriate public education. MonTECH can provide assistance to schools in meeting this mandate. Assistive technology is often used to help persons with learning. 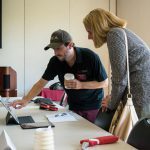 Whether a 10-year-old boy needs help to comprehend written information, or a college student cannot write down notes fast enough to keep up with his professor, assistive technology is available to help people with the complex tasks of learning. Here at MonTECH, we want to help Montanans of any age in overcoming barriers to learning. 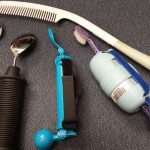 Whether the Montanan has a temporary or permanent disability, we try to accommodate a person’s needs with the appropriate assistive technology. We help persons with diagnoses such as autism, dyslexia, agraphia, attention deficit disorder, auditory processing disorder, cerebral palsy, or any other diagnosis that has an impact on a person’s ability to learn. Here is a partial list of assistive technology we have available for learning. Today, computer software can provide a student of any age with all levels of support. In the MonTECH clinic we can demonstrate the special educational software that is currently available. Educational software typically comes with many features, such as: Spell check, word prediction, dictionaries, verb check, calculator, text-to-speech, speech-to-text, highlighting, translation, and note-taking. 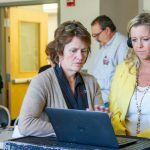 Software for learning has continued to advance and now works within the “cloud.” This allows students and teachers to share information over a secure internet connection. Memory skills can be impaired in a variety of ways. Some people experience difficulty in the area of sensory memory, whereas others may experience problems with working memory or long-term memory. Assistive technology can be used to augment current memory skills. A flashing light alarm can be programmed to alert a person to an event or remind them to preform a task. 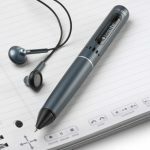 A Livescribe Pen, which is an auditory recorder embedded in a pen, can be used to augment a person’s limitation in memory storage. Mobile devices can be used to assist a person with sensory memory, working memory, and long-term memory through specifically designed applications. MonTECH’s team has expertise in built-in accessibility features for devices that clients may already own such as iPhones, iPads, and Android devices. Clients can borrow iPads, Surface Pros, and other devices through MonTECH’s free loan program. Staff can demonstrate features and apps that will be useful for each individual client. The use of technology can assist persons with mobility seating and positioning needs. Assistive technology for seating and mobility ranges in complexity from low-tech to high-tech. A person can often find the right device or “tool” to help with activities of daily living, mobility tasks, and computer use. MonTECH has an extensive inventory of equipment that you can try at our clinic. For people who are transitioning from manual wheelchairs to powered mobility, from low end to high end seating, MonTECH has various mobility options, cushions, mounting systems, switch and driver interface systems in our clinic. MonTECH can guide you through the process of finding the right tools to help you with your seating and mobility needs. Our consumers can be assisted on-site. If you want to see the different seating and mobility equipment and compare them all at the same time, it is best to schedule a free demonstration in the clinic. Only certain items in our seating and mobility inventory are available for loan. Proper positioning of switches, communication devices, environmental controls and mobile devices can mean the difference between success and failure, comfort and fatigue, efficiency and wasted effort. MonTECH staff can assist individuals in determining what mounting system is the most appropriate to properly position devices based on one’s situation and need. We have a complete line of mounting solutions in our demonstration center ranging from simple Velcro® to table mounts and highly customizable clamps, arms, and plates. Some mounting systems are available for short-term loan or evaluation through our Equipment Loan Program. MonTECH offers a few different services to increase access to recreation. First, we have a website to help folks find accessible outdoor recreation opportunities: http://recreation.ruralinstitute.umt.edu/mt/index.asp. Second, we offer several equipment loan programs so you may try equipment. The MATP program in particular has several categories of recreation equipment that is available for short-term loan. 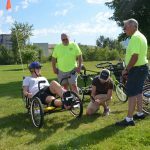 Third, we have collaborated with the Missoula Parks and Recreation MORE program to expand their offerings for inclusive recreation activities. And finally, we offer financial loan services should you need assistance purchasing your own recreation gear. Switches are used to activate a powered device such as a TV or computer. Due to functional limitations, some people do not have the ability to turn on a conventional lamp. Others may not be able to use the remote to turn on the TV and change the channels. Switches can be paired with devices like lamps, TVs, radios, communication devices and computers to allow a person to have independent control. Switches come in many shapes and sizes. They can be large in size for persons who need a large target. A switch can also be very small and discrete. MonTECH has many different styles in its inventory. A switch can be placed near parts of the body that have the greatest control. A person may have the greatest physical control with his or her neck, and the switch or switches might be positioned on either side of the head, or both sides. Switches can be mounted onto wheelchairs, placed on bedside tables, or attached to many other surfaces. Depending on what a person is trying to do, he or she may use a variety of switches in different positions. A certified occupational therapist can help you determine the best access method(s). The occupational therapist has the professional training to evaluate the situation, the person’s needs, and then make professional recommendations for best access. MonTECH offers switches through our demonstration center, our loan programs, and sometimes they are available through the exchange program. Please contact us if you would like to see or try out any of the switches in our inventory. The use of technology can assist persons with low vision needs. Assistive technology for vision impairment ranges in complexity from low-tech to high-tech. A person can often find the right device or “tool” to help with activities of daily living, reading and writing tasks, and computer use. A bar magnifier which might cost six dollars can provide enough magnification to be able to help a person read the paper or a menu. Perhaps a greater amount of magnification is needed so that a person can continue to read and sign checks, or perhaps write letters. MonTECH has an extensive inventory of equipment that you can try at our clinic, or check out to use in your home. 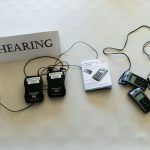 For people who are transitioning from reading text to listening text, MonTECH has various screen readers and text-to-speech options for trial in our clinic. At MonTECH, we guide you through the process of finding the right tools to help you with your low vision needs. Our consumers can be assisted on-site or at home. If you want to see the different vision equipment and compare them all at the same time, it is best to schedule a free demonstration in the clinic. For some consumers, it is not possible to come to the clinic. In that case, please use our equipment loan program and we will ship equipment to you. How do I know what kind of magnifier to use? We recommend working with your eye doctor to determine what type of magnification you may need. When you have identified the tasks you need help with, our staff can assist you in choosing the appropriate tools from our inventory. What equipment would help me read the newspaper? Many of our consumers ask this question. We like to find out where you are reading the paper. Are you in a recliner or at a desk or table? If you are on the move or not seated at a table or desk, we would recommend a portable magnifier. If you sit at a desk, you might like a desktop CCTV magnifying device. For users that want to listen to the newspaper, an audio device or screen reader might be the best option. We are happy to work with you in our clinic or over the phone to determine what would work best for you. Why are portable video magnifiers more expensive than hand-held magnifiers? The more widely available hand-held magnifiers have only one lens. This lens provides only one measure of magnification. With a lens magnifier, you cannot adjust the contrast. In comparison, the portable video magnifiers have an actual camera lens built into it. This camera lens allows users to adjust the amount of magnification and contrast to meet their personal needs. Magnification equipment is available in some stores, but usually the equipment is purchased from online catalogs, paper catalogs, and through vendors selling specific product lines. The products in our inventory are for trial and demonstration only and not for sale.